I don't know about all of you, but I know that building relationships with my students is my number one priority! I LOVE working with my students and making sure that they know how much I appreciate each of them! Along with students, we get another set of people though, their parents! Setting up a time to meet parents, before school starts, or after it has begun is very important. These parents are entrusting their children into your hands and they want to know who you are. I have always had a night where the parents have been invited to my classroom so they can meet me, learn a little bit more about our school year, and then check out our classroom as well. 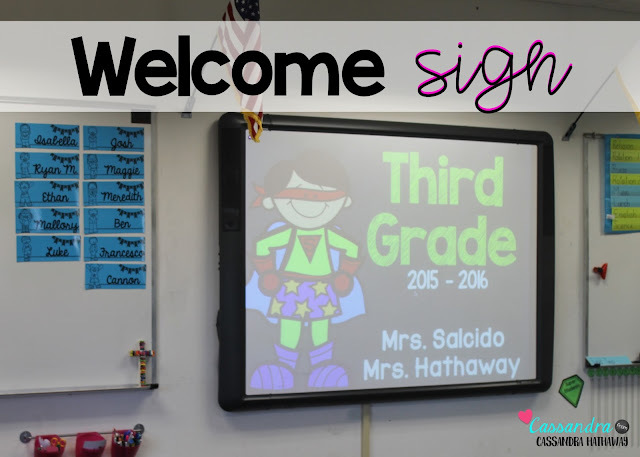 Right when parents walk in they will see this sign on the board! I LOVE that it matches our class decor and it makes sure that they are in the correct location. My team teacher and I do welcome night together, so that way parents can get to know both of us at the same time. They enjoy it because then they are able to learn about how we are going to transition their children. While we have them there we make sure to go over our year plan, big projects we are going to work on, and the curriculum we teach. We make sure that the parents understand what our expectations are, and how we are going to help their children transition to become more independent. After you're done going over everything you want to tell parents, I love having them go out to our photo booth and take their pictures. Then I sedt it to a one hour photo so I could pick them up on my way home and give the pictures to their children on the first day of school! I have special signs that parents could use and cards that parents could write to go with their picture as well. This was a great way to show the parents that they are an important part of our community, and that we wanted to help build the relationships between all of us. 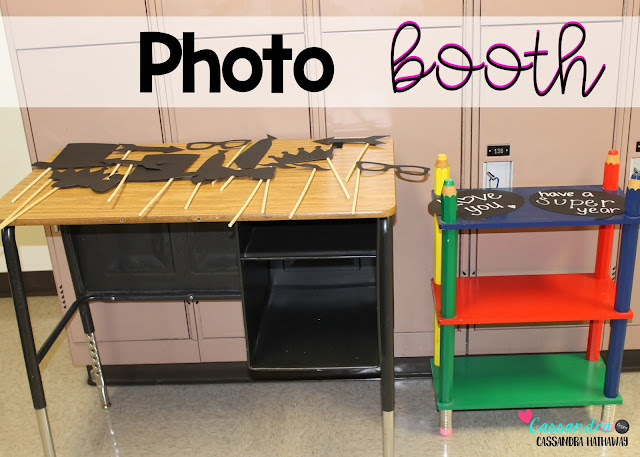 After parents use the photo booth the next day I have the students use the photo booth! I save all of these pictures for the end of the year when I am able to give to parents so they can see how their children grew over the year! You can find the sign that we leave out next to all of our other welcome papers here. I put this out with a box of mints so that the parents have a snack while we are talking. What are some things that you do when you meet parents? 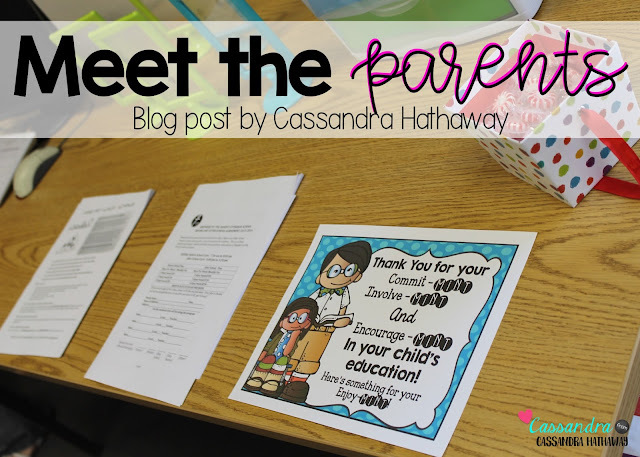 Do you have a meet the parent night before school starts or after? 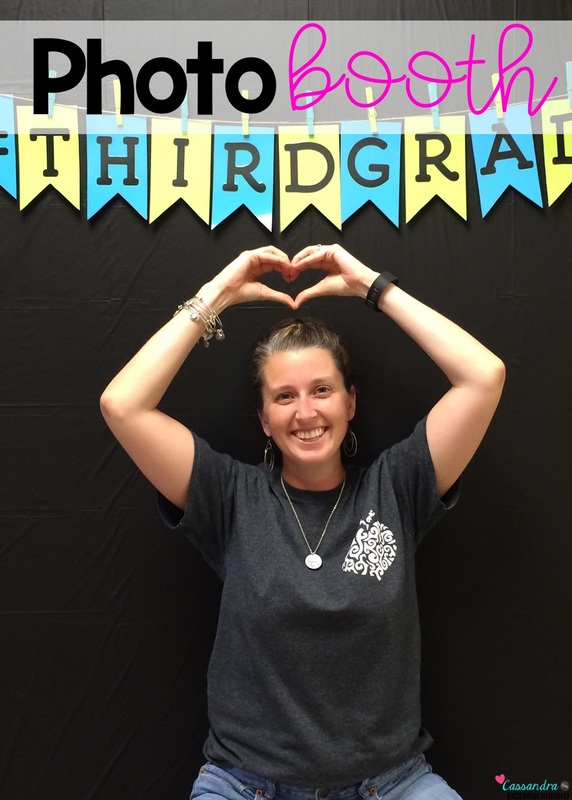 I would like to personally congratulate you as your blog All About 3rd Grade has been selected by our panelist as one of the Top 50 Third Grade Teacher Blogs on the web. I would like to personally congratulate you as your blog All About 3rd Grade has been selected by our panelist as one of the Top 100 Upper Elementary Blogs on the web.